We recently got a felt letter board, and I get loads of questions about how we use it, what my tips are for setting it up, and how to make the most of it. 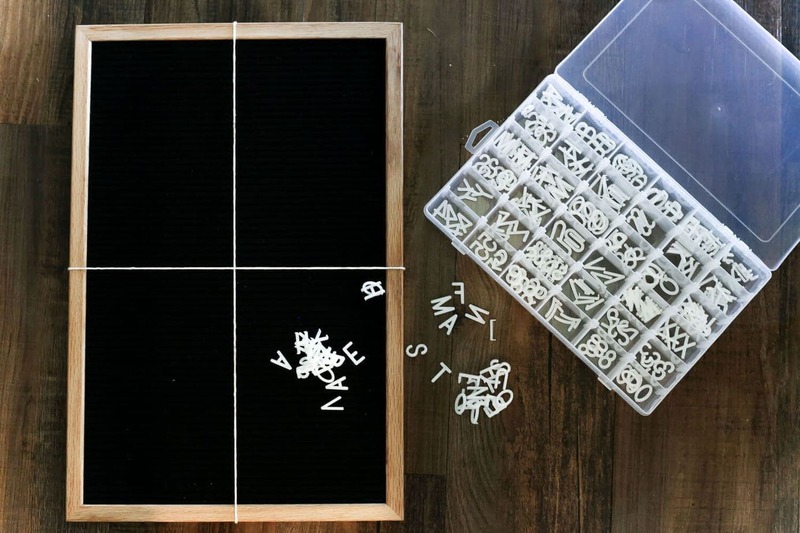 Here are my best felt letter board tips! I have a major obsession with felt letter boards. They look so cute, they’re really fun to play around with, and they can add a lot of sass to whatever room you hang ’em in. I mean, who wouldn’t want one of these guys? 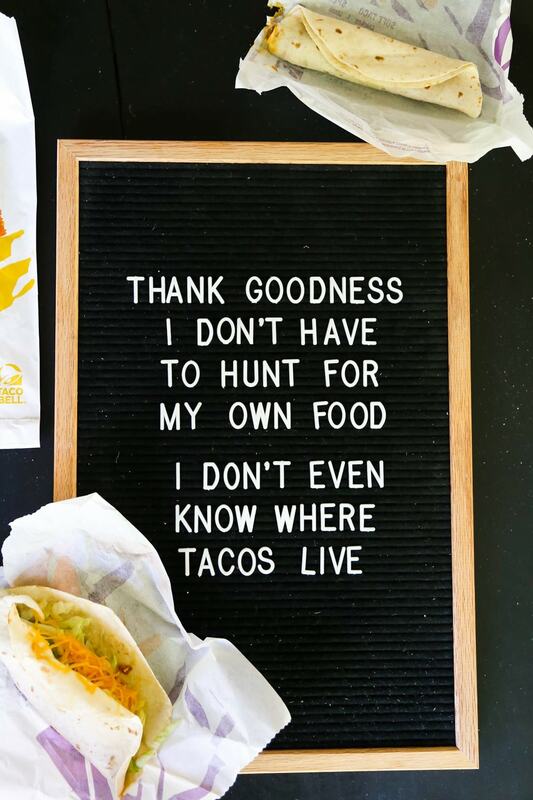 I get a lot of questions about our letter board every time I share a photo of it on Facebook or Instagram. I mean, they seem great in theory but how do you actually keep up with it? Does it get dirty? How do you make it all line up nicely? I get it. New things can be scary. 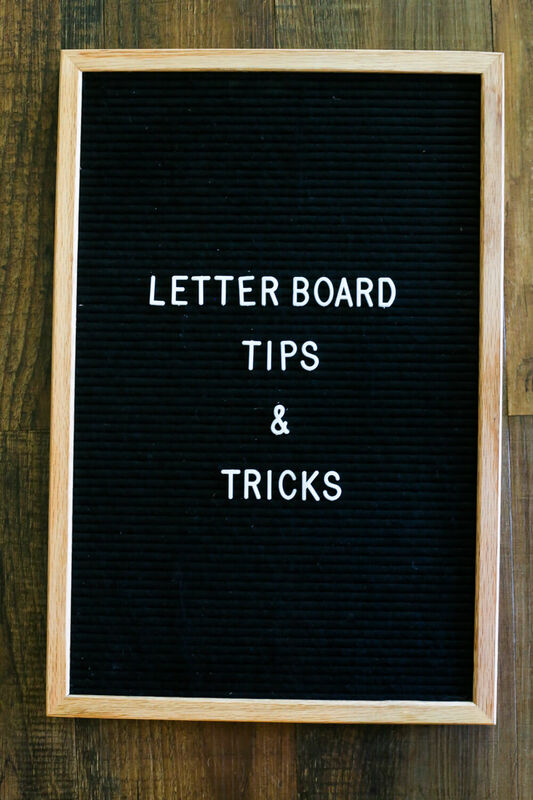 So, I’m sharing a few tips and tricks on letter boards, how to use them, and how to maintain them. If you have any questions that I missed, leave a comment and I’ll make sure to address it! How do you come up with the sayings? I’m just really witty and creative. Just kidding. 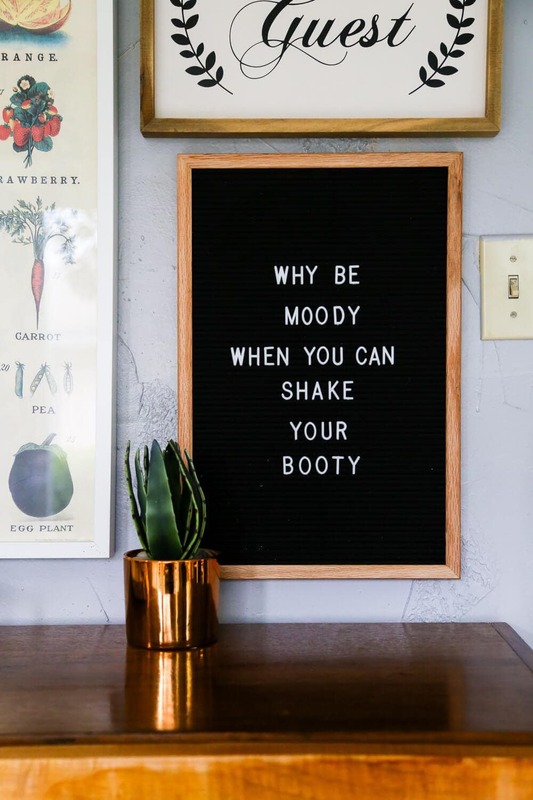 I have a Letterboard Quotes board on Pinterest where I’m constantly saving letter board images, sassy quotes, and other sayings that catch my eye. When I get the urge to change out the letter board (which happens about once a week or so), I just pull up my board and do some brainstorming. Occasionally I’ll use a quote from a song or movie, or just come up with something on my own, but for the most part, the majority of my ideas come from that board! How do you keep it clean and lint-free? 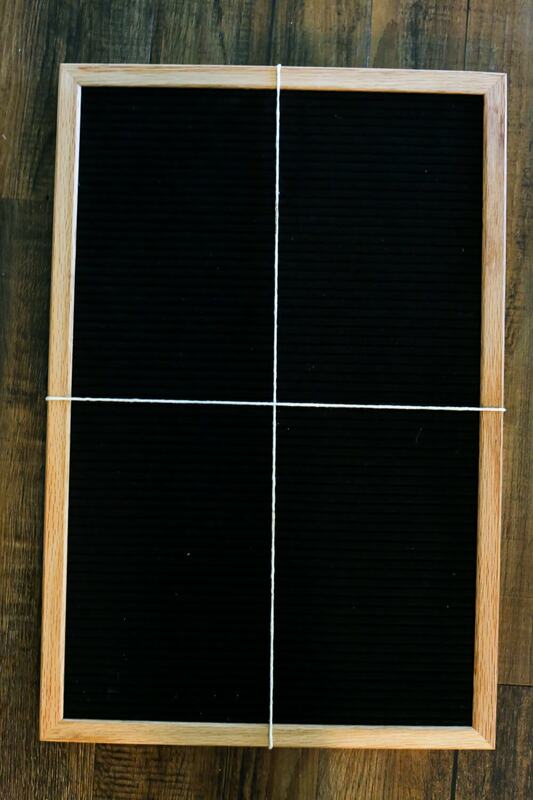 The letter board is made of black felt which means that it will attract dust and hair and it will pill a bit and need to be cleaned. Honestly, I’m pretty lazy about this (as you can see in the photo above! ), but you can just use a regular old lint roller to keep any dust or hair off of it, and if you notice any pilling you can remove it with a razor just like you would a sweater. I was a little nervous to try this the first time, but it works like a charm! How do you make sure your letters are centered? 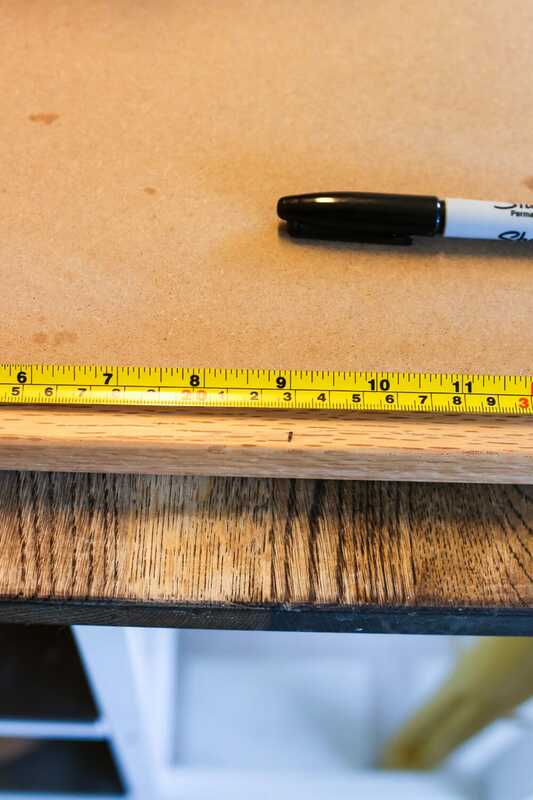 This is so much easier than you’d think – just measure and mark a spot on the back on your letterboard right in the center both vertically and horizontally. Then, when you’re adding letters you can just wrap a small piece of string around it right at your marks and you’ll know where the center is. I learned this little trick from Vintage Revivals a while back, and it works really well! When I’m doing a new quote, I’ll usually wrap a piece around both vertically and horizontally (so I know exactly where the center of the board is), and then I plot out my letters by just resting them in place without pushing them in. Once I know everything is just where I want it, I push the letters into place and remove the string – voila! It’s perfectly lined up! How do you store all of those letters? Can I be honest? For the first few months I owned this thing, I literally just kept all of the letters tossed in the little plastic bag they came in. Every time I wanted to change the board, I had to dump them all out and sort through them to find what I wanted. It took forever and was so ridiculous. Then, I finally got smart and grabbed a cheap plastic container with dividers and sorted all of the letters out. Now, it’s a breeze to find what I need and it’s not nearly as annoying to change up my board as it used to be. This silly little letterboard is, quite seriously, one of my favorite things I own. It’s so fun to play around with, it adds so much sass and playfulness to the kitchen, and it makes me smile every dang time I look at it. 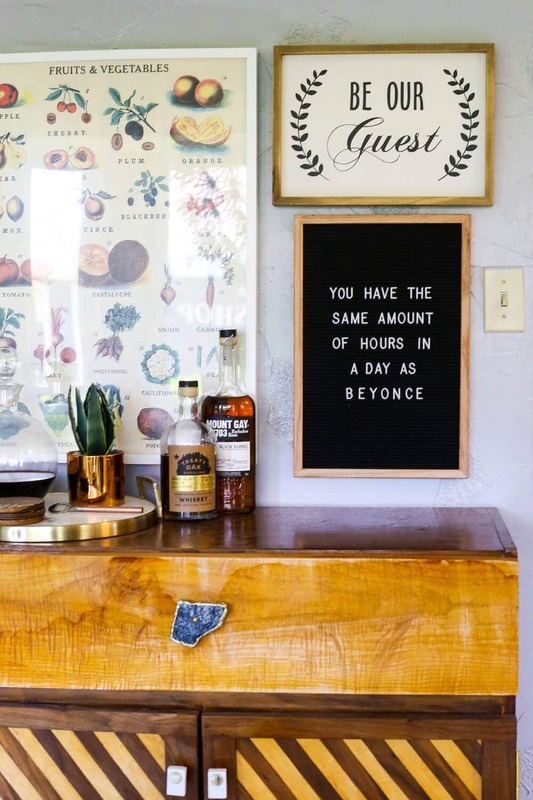 Would it be too much to add one to every room of the house? Hi! You can’t with the ones I have but I found a horizontal one on Amazon – here’s the link! I like these, too. I was so excited to get one for my classroom. The problem I am having is with the letters not staying on it! It drives me crazy. 🤨 I finally threw it in my closet until I could figure it out. Any suggestions? 🤷🏻‍♀️ Did I just sadly purchase a bum board? Thanks for any help you can give. Any advice on getting all the little letters off the plastic connector they come on? I don’t know if they all come this way but my letters are all individually attached to a plastic stick so I am having to cut each one off which is taking foreverrr! (And leaving little tabs on the bottom of each letter which further needs to be trimmed off!) Suggestions? Hi Caitlin! I find that it’s easiest to twist the letters until they pop off, then just snip the excess off with scissors. I don’t usually do the little tab pieces until I actually use the letter, though (so, I just toss them all in my little organizer, then as I pull letters off to use them, if there’s a tab I just grab the scissors and sip it off first). I cut the off the plastic first with a sharp paring knife on a cutting board then trimmed the little extra tabs with nail trimmers. Thanks for dividing the board into sections. So much easier to make things look neat! Hello, Can I please ask where do you get your letters for the letter boards? Hi Amber – the letters come with the boards, generally speaking! This is the board I have. Hope that helps! The craft & hobby stores have them also. I was in Craft Warehouse this weekend, and not only do they have the black or white letters, they also had pastel green, blue and pink. 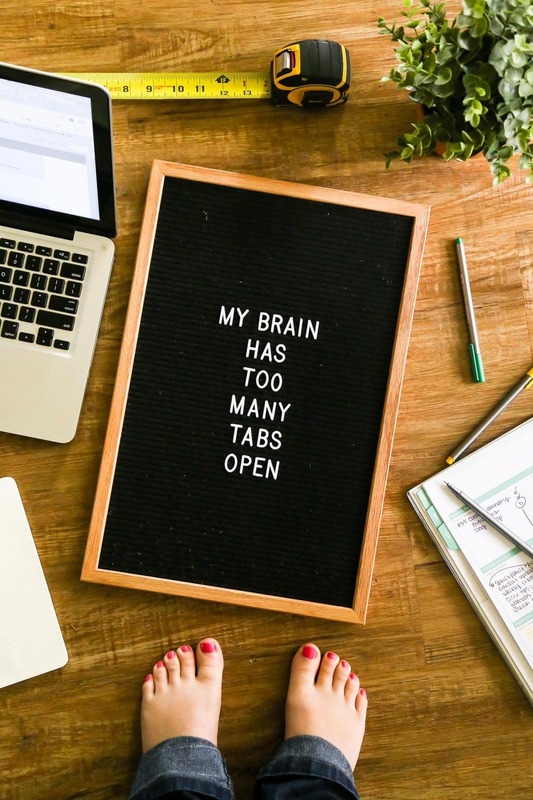 I love my letter board! I have it hanging on the wall behind the cat’s food in my kitchen. I changed it to “meowy christmas ya filthy animal” for christmas. Makes me laugh every time i feed him. It’s one of my favorite things too! So cute! They’re so fun to have!! Wow, I’m really impressed with how you were able to come up with those designs for your boards. You really made it look simple especially when you talked about how you are able to make sure that the letters are centered on the board. I guess it only takes a lot of practice before someone is able to master the craft of designing their own bulletin board. This actually caught my interest, and I’m now planning to design my own soon. Thanks for inspiring me! I had no idea that you could use a lint roller to clean your back felt letter boards. It makes sense that taking the time to understand this can help you make sure your investment is protected and that it will last. 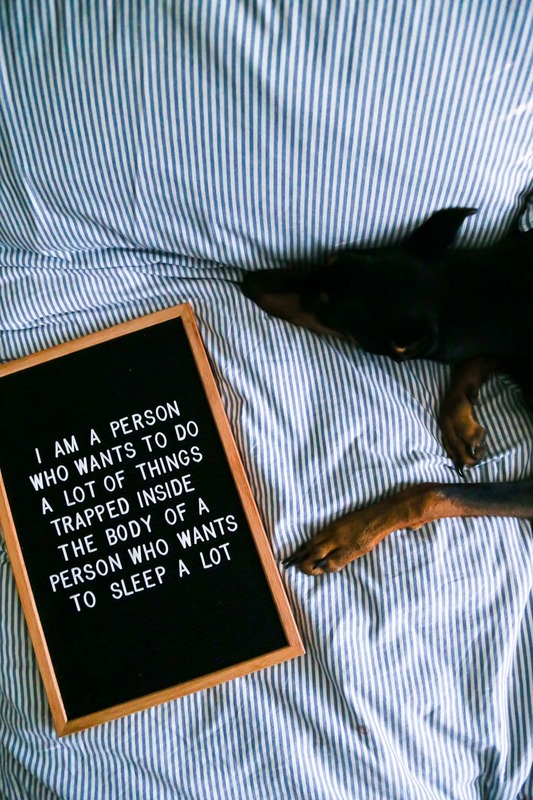 My wife wants to buy one of this letter boards and I wanted to look into how to properly care for them, so I’m glad I found your post. Yes! It’s so easy, and it works. I love ’em!